This post has 6,977 views. 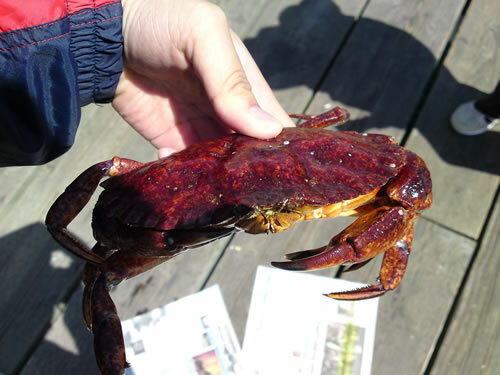 I recently went to Sidney on a day trip with family for some crabbing and fishing. It’s not the Sidney in Australia; it’s not even the Sidney in Nova Scotia, but rather the Sidney I went to is a town located on Vancouver Island, British Columbia, Canada near the city of Victoria. Sidney is a nice little town with great views of the waters, and the fishing and crabbing was pretty decent. Read on to see what my family has caught during the trip. To get to Sidney from the Lower Mainland, we took the ferry from the Tsawwassen Ferry Terminal to Swartz Bay on Vancouver Island. On non-busy days (Mon-Thurs that are not public holidays), the fare for walk-on passengers is not too expensive at less than $10 Cdn, and the ferry is not too crowded, although more and more passengers will take the ferries as summer rolls along. 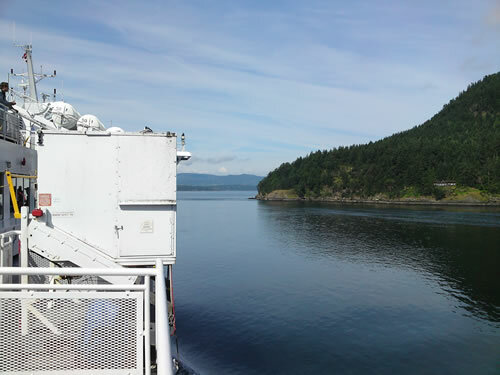 The sailing to Swartz Bay takes about one and a half hours, and the route goes through the Gulf Islands, giving passengers plenty of scenery to take in. 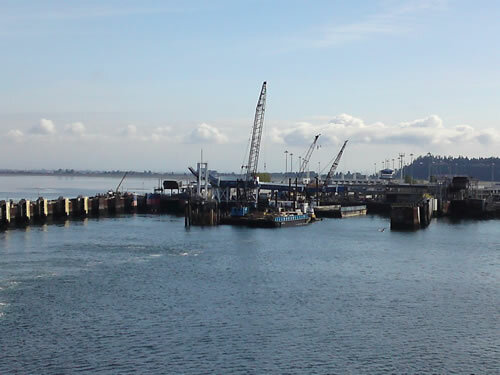 The Tsawwassen Ferry Terminal, taken during departure. This is only picture I tried to use my cellphone camera's zoom, and it didn't turn out too well. 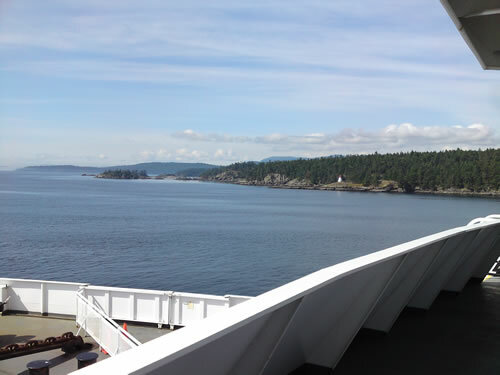 The bow of the ferry, heading towards the Gulf Islands. 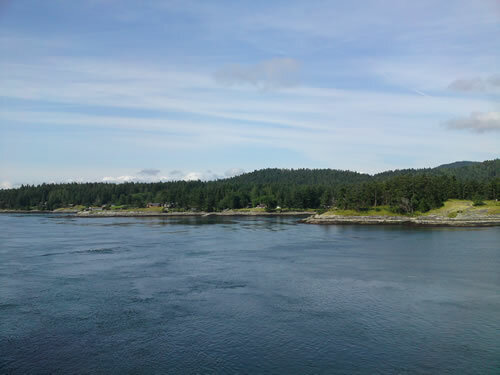 Here we are entering the Gulf Islands. 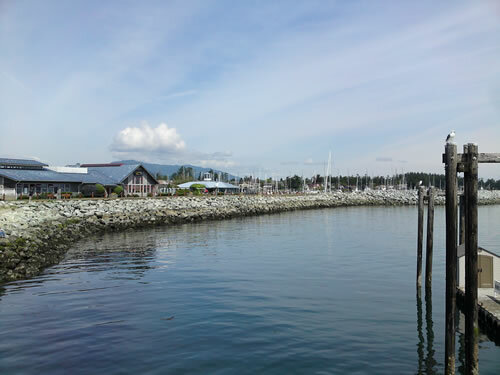 The Gulf Islands lie between Vancouver Island and the BC mainland, and there are lots of vacation homes on these islands. 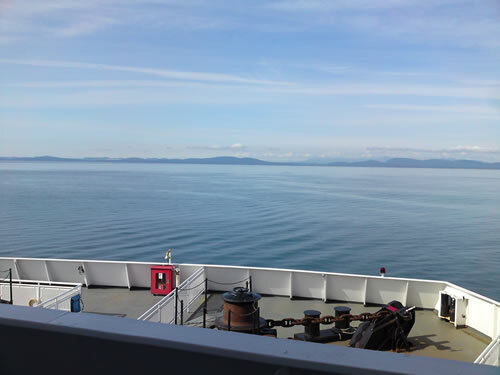 The starboard side of th ferry as we travel among the Gulf Islands. The bow of the ferry again. This time we are in the midst of the Gulf Islands. After arriving at Swartz Bay, we took a 5-10 minute bus ride into the town of Sidney. 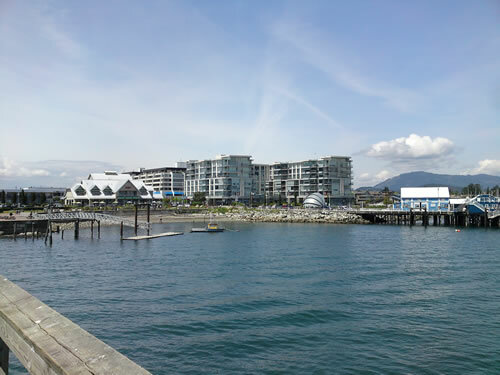 Known as Sidney-by-the-Sea, the town is located on the east side of the Saanich Penisula and 20km north of Victoria, the provincial capital of British Columbia. 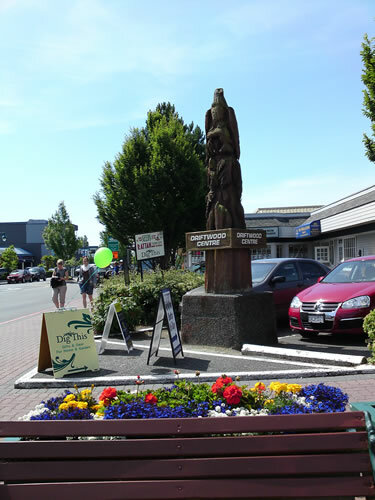 It’s a beautiful little town with close proximity to the sea and lots of flowers and carvings decorating the street sides, but it also has all the amenities you would see in larger communities. Sidney is kind of like a tourist town, but it’s not very well known. I have never heard of the place despite living in BC for quite some time, and I’m glad that I decided to visit. An interesting wood carving in the downtown area of Sidney. Here is picture of the seaside trail and fishing pier. A shot towards the nearby marina. The coast of Sidney taken from the fishing pier. Most of the buildings in this pictures are hotels and inns. 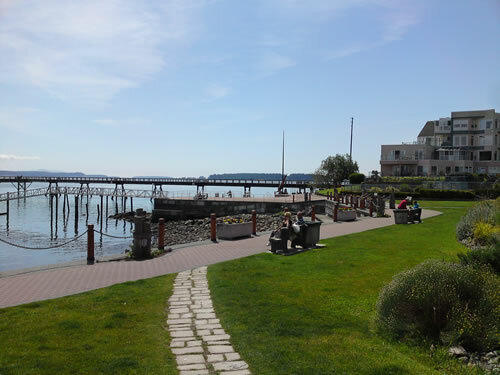 The Sidney seaside is just a few minutes walk from the bus stop and has a wonderful view of the sea towards the Gulf Islands. There is a seaside path for people to take in the scenery, some rocky beaches for people to frolic, and even an Ocean Discovery Centre for kids to visit. 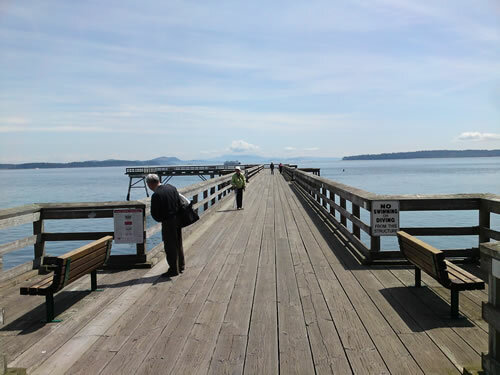 Most importantly of all (for us), there is a big public fishing pier extending over the sea. Despite the big pier, there weren’t many people out crabbing and fishing. Most people who pass by the pier are people on a stroll/run. That was great news for us and we had the whole pier to ourselves. The big fishing pier. Time to catch some big fish and crabs. Due to the fact traveling to and back from Vancouver Island takes a few hours, we only stayed at the pier for about two hours or so, but in that span of time we caught six crabs (five Red Rocks, one Dungeness, all legal size of course), and two fishes (a sole and probably a greenling). Pretty decent catch for two hours of work. I credit my relatives with the catches though since they were the ones who spend the time to prepare the bait for the crab traps and fishing rods. 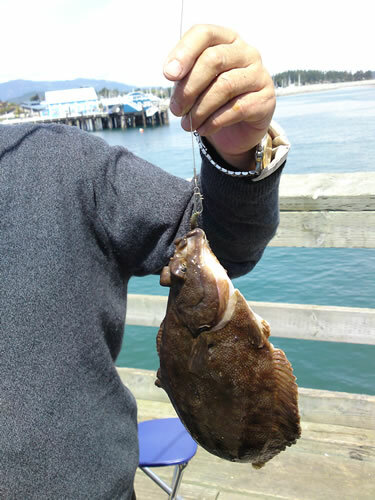 Our first catch of the day, a decent-sized sole of about one and a half pounds. One of the six crabs we caught during our trip. He doesn't seem too pleased, but then again he had every reason to be. Our last catch of the day. 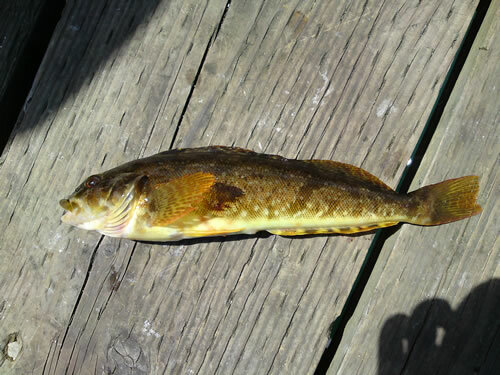 I think it's a kelp greenling, but I'm not too sure. The fish was about a foot long and weighed around a pound. In the afternoon, we caught to ferry from Swartz Bay back to Tsawwassen. It was a nice day trip and enjoyed going to Sidney. We didn’t get too much fishing in, but we got a respective catch, and I went to a place that I’ve never been to before. We might go again some day in the future before I leave for my graduate studies. 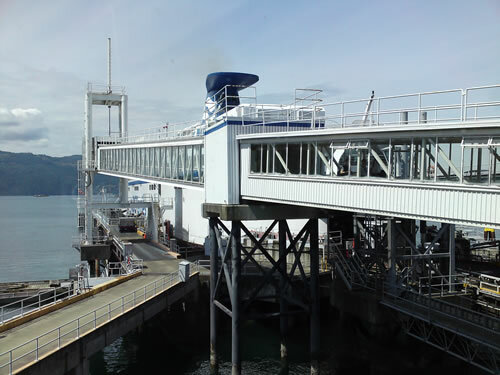 Here is our ride home, taken from Swartz Bay terminal. Excellent little write-up about our great little town. Note however, that we’re on the east side of the Saanich Peninsula,not the west side. Haha my mistake. Thanks for the correction. What bus do you take from Schwartz Bay to Sidney. My pals and I want to attempt the same trip minus the car. There are several buses you can take from Swartz Bay to Sidney town centre. I think 70 is the fastest, but 71 and 73 work too.